What is Land Remediation Tax Relief? Finally a follow on from my post on landfill tax, a popular one according to the stats. As a reward for remediating contaminated land, HMRC offer 150% tax relief on qualifying expenditure. 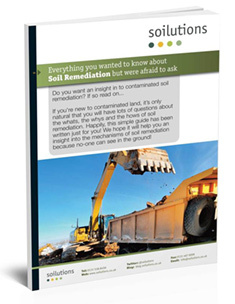 If you’ve aquired the land in a contaminated state, or for example Japanese knotweed is fly tipped on your premises, then you may well qualify for relief. Unfortunately if the land is contaminated by your company, you won’t get relief for cleaning up the mess as the polluter pays principle is upheld. Which of the many taxes you pay do you get relief on? Corporation Tax. If your company runs at a loss, a tax credit can be acquired. HMRC are of course much better at explaining the details, http://www.hmrc.gov.uk/manuals/cirdmanual/CIRD60015.htm is a good place to start. All information is relevant at February 2014.